One of the things that you are likely to discover is that establishing good credit is one of the basic tenets of successful money management. Credit is the ability to borrow money from others. The term comes from the fact that if you have credit, you have a certain financial reputation. If you have good credit, you have a positive reputation; lenders and other financial service providers expect that you will repay them with little trouble. 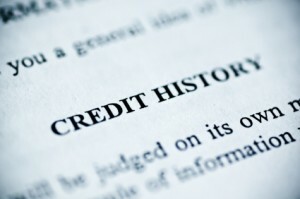 Poor credit, on the other hand, indicates a less than desirable financial reputation. You might need to do some internet reputation management as well. Financial service providers worry that you might not repay them in a timely manner, and may charge you extra for their services — or deny you service altogether. Use a credit card: Credit cards offer one of the fastest ways to establish credit. Get an installment loan: Some sort of loan that you make installment payments on can be a good idea. These types of loans include auto loans and personal bank loans. Consider encouraging others to report: Momentum is growing for some credit agencies and credit score models to include information about utility and rent payments as well as credit payments. You can encourage your landlord or utility company to report your on-time payments. Make all your payments on time: This includes non-debt payments. Even though most utility payments made on time aren’t reported to credit agencies, if you miss a payment, it will likely be reported. Keep your debt levels low: Just because you have a credit card doesn’t mean you have to max it out. Instead, buy a few things with your credit card, and then pay the balance off quickly. Pay attention to the type of debt: Realize that major credit cards, auto loans and mortgage loans are looked at more favorably than payday loans and department store credit cads. Credit is an integral part of our financial society, and it is important that you cultivate good credit habits; they’ll help you later.